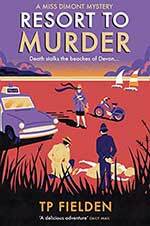 In 2016 Christopher Wilson signed an unprecedented four-book deal with HQ, a new imprint of HarperCollins Publishers, to produce the English Riviera Murders – a series of retro mysteries featuring Miss Dimont, fiesty chief reporter on a local Devon newspaper. Humorous but with a pro-feminist vein, the novels chronicle the adventures of former Naval Intelligence officer Huguette 'Judy' Dimont in her new career as a journalist on the Riviera Express, based in the fictional town of Temple Regis. There are murders aplenty and intrigues galore. 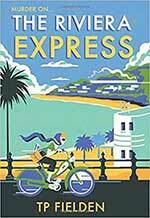 The first, The Riviera Express, was published in early 2017 to great acclaim. “A fabulously satisfying addition to the canon of vintage crime,” — Daily Express. “Unashamedly cosy, with gentle humour and a pleasingly eccentric amateur sleuth,” — The Guardian. “Highly amusing,” — London Evening Standard. “A golden age mystery,” — Sunday Express. The second book in the series, Resort To Murder, was published in the winter of 2017. “Must read,” — Sunday Express. “Five stars. Brilliant!” — The Sun. 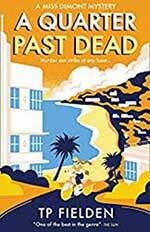 The third Miss Dimont mystery, A Quarter Past Dead, was published in November 2018. A fourth will be published in 2019. RESORT TO MURDER, THE RIVIERA EXPRESS and A QUARTER PAST DEAD are available in hardback and paperback at all good book stores, and Amazon.